Vasa and Ypres started as a challenge. A challenge to write a novel. 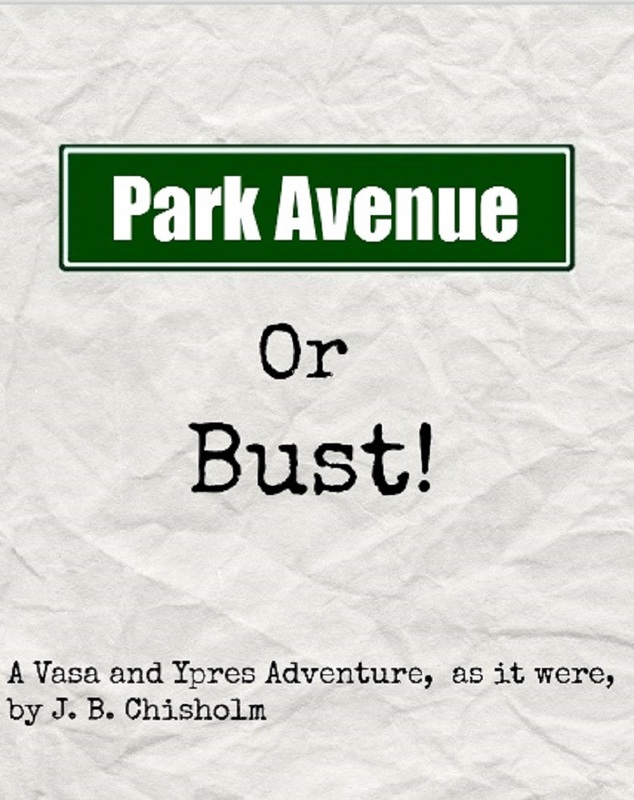 A challenge to publish a fictional serial on a blog before it became an ebook. Most of all, it was a challenge to make a world of British humour come alive. Vasa and Ypres’s is a world where all complexities and worries are pushed aside. The major problems of our time do not appear. As the forever stylish Vanessa E. Vasa says in the final chapter, “I don’t deal with world hunger do I? I deal with conundrums. Preferably Mayfair conundrums.” This fictional world is a form of escapism. For this success I must thank you, the reader. An author can write in a vacuum, but an author cannot strive without readers. Thank you. How splendid for you! Only a fool of a publisher would now reject a Vasa and Ypres manuscript. I hope to one day acquire your collected works in print format. What a wonderful comment! Thank you very much! Nice.. Thanks for stopping by.. I applaud your honesty, vision, discipline and integrity to a genre. Most of all, as before, serializing a short read novel, all by itself, with only ‘net media marketing. An English grad student would do well to emulate this exercise for a thesis. From the colonies, thanks for showing us how it can be done! Thank you! Glad I could be a bit of a Wodehouse substitute. I have been, unfortunately, two or three chapters behind for a while now (I blame life in general), I really must catch up. On another note, I am so glad that you’ve published the story as an e-book, just purchased and have set to work convincing my wife to read it. Truly one of the most hilarious and engaging stories I’ve read–probably ever. Thank you very much! I appreciate it! You have been a constant support from the beginning. Best of luck with your writing. You’re most welcome! I hope to see more from Vasa and Ypres!